The last instructions before the fight. 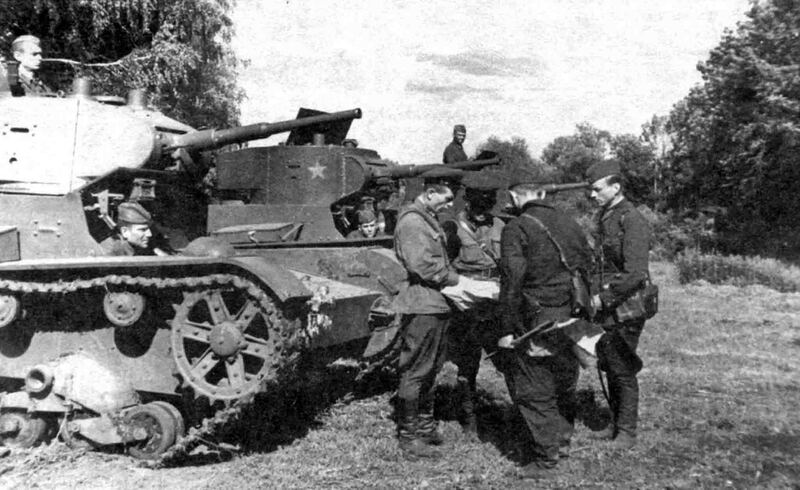 Crews of Soviet light T-26 tanks in the vicinity of Stalingrad. South-Western Front, 1942. The Battle of Stalingrad was the last combat operation of the Great Patriotic War, in which light T-26 tanks participated. By that time, these armored vehicles were already obsolete, mass production was stopped in 1940 (in 1941 they produced only 47 of these tanks), most were lost in the battles of 1941.